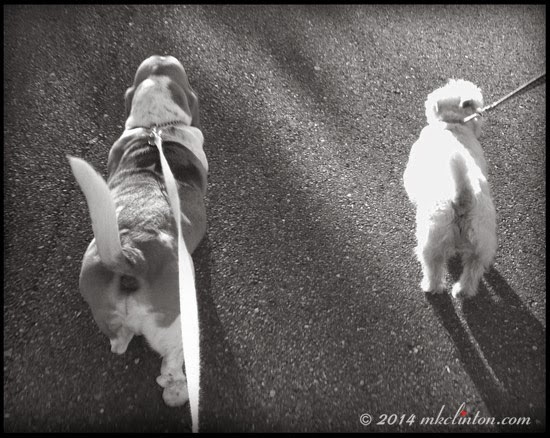 "We start out walking side by side then, Pierre shifts into high gear and zooms ahead." "Bushes around mailboxes hold a smorgasbord of smells." 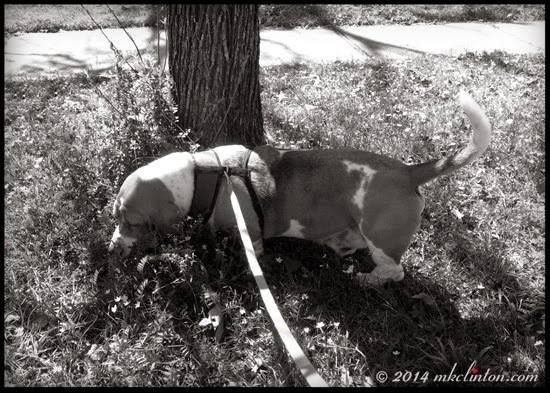 "It is important to investigate new sniffs and crackling leaves." "Mom says I look cute coming and going." 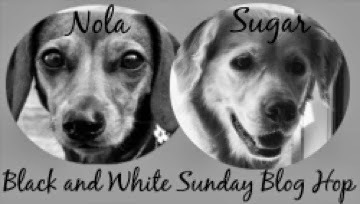 Me: “We are also joining Sugar the Golden Retriever and Dachshund Nola for Sunday’s Black and White blog hop. 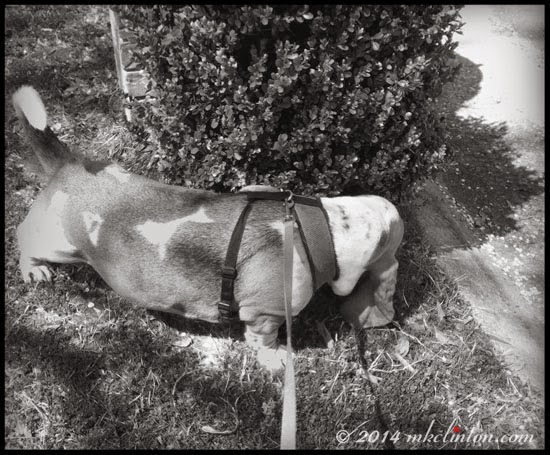 You can enjoy all the other B&W photos from these other great blogs. 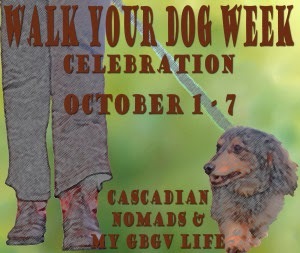 We will go for extra long walks this week. Have a serene easy Sunday. I agree bushes are great mailboxes, they have as much leaves as they have leaves ! Being Country dawgs WE rarely EVER get to go on walkies... except when we go somewhere in Jennifer Jeep. You are lucky that you get to do it DAILY. We are green with jellyness. I bet you're having perfect walking weather down there now. Our temperatures have plunged and the human here needs to dig out more clothes for bundling up before we head out! Gotta stop and read the pee-mail. 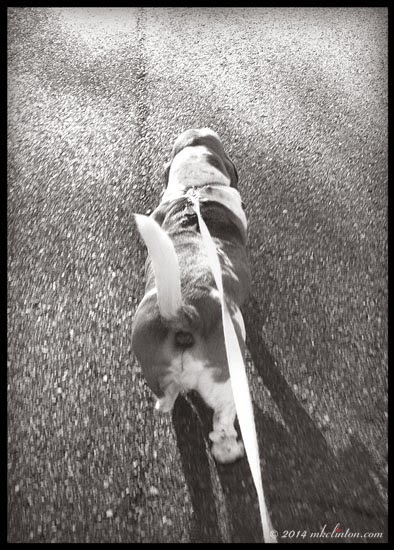 It's a required part of any walk. So pawsome, walks are the best!! Great pics! Looks like you had a fantastic time! Enjoyed the dialogue and the pictures-enjoy your walks together!